The National Highway Traffic Safety Administration seeks to upgrade standards for child seats for children weighing up to 40 pounds to include a new test that simulates a side crash. Child car seats would for the first time have to protect children from death and injury in side-impact crashes under regulations the government is proposing, The Associated Press has learned. The National Highway Traffic Safety Administration seeks to upgrade standards for child seats for children weighing up to 40 pounds to include a new test that simulates a side crash. The agency estimates the standards will prevent the deaths of about five children and injuries to 64 others each year. NHTSA Acting Administrator David Friedman is scheduled to announce the proposal Wednesday. Under the proposal, the new tests will simulate a "T-bone" crash, where the front of a vehicle traveling 30 mph strikes the side of a small passenger vehicle traveling at 15 mph. The tests will position the car seat on a sled, with another sled ramming the side of the sled with the seat, rather than using actual vehicles since the aim isn't to test the crash worthiness of specific vehicles, NHTSA officials said. Research shows that many child deaths and injuries in side-impact crashes involve a car carrying children that is stopped at an intersection, usually at a light or stop sign, officials said. When the car begins to accelerate to go through the intersection, it is struck in the side by a vehicle traveling at a higher rate of speed on the cross street. The side-impact test — the first of its kind — simulates both the acceleration of the struck vehicle and the vehicle's door crushing inward toward the car seat. 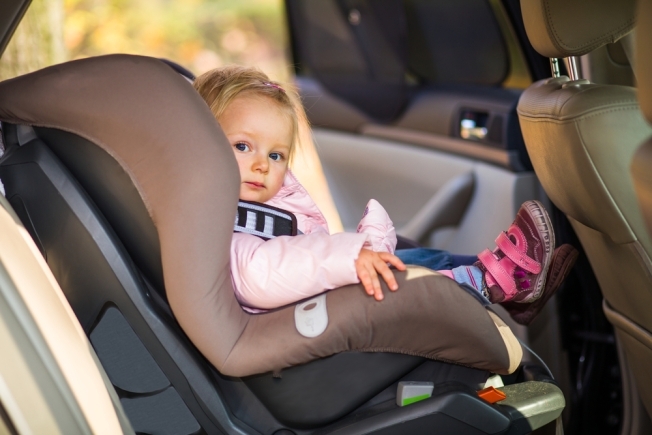 Besides using a 12-month-old child dummy already approved under NHTSA standards, the proposed test will also utilize a to-be-developed side-impact dummy representing a 3-year-old child. "As a father of two, I know the peace of mind this proposed test will give parents," Transportation Secretary Anthony Foxx said in a statement. The test "will give parents and car seat makers important new data on how car seats perform in side crashes." Friedman called car seats "an essential tool for keeping young children safe in vehicles and have a proven track record of saving lives." Safety advocates have long sought tougher standards for car seats to protect against side-impact crashes. "I think this is terrific," said Joan Claybrook, who was the NHTSA administrator during the Carter administration and later president of Public Citizen. She noted that today's passenger vehicles have eight air bags, in part to protect adults from side-impact crashes. "We have an absolute moral obligation to protect children as well," she said. NHTSA's estimates of the number of lives that will be saved and injuries prevented by the proposed standards are "very, very conservative," Claybrook said. The public will have 90 days to comment on the proposed regulations after they are published this week. The regulations won't be made final until after the agency has reviewed the comments and answered any important issues that may be raised. That typically takes months and sometimes years, although NHTSA officials said they hope to move quickly. The proposal includes giving car seat manufacturers three years to make any adjustments to meet the new requirements. That window doesn't begin until the regulations are made final.